Pirelli World Challenge sports car driver Nicolai Elghanayan may be at the beginning stages of his professional racing career, but the 24 year old is already using his platform for positive causes. Last month, the KTM X-Bow racer joined with the Tahirih Justice Center to auction off rides in his race car and a weekend at a professional race event. All proceeds from his auction experiences went directly to the non-profit, the only national, multi-city organization to provide legal services, policy advocacy, and training and education to protect immigrant women and girls fleeing gender-based violence. Established in 1997 and now operating in five locations in the United States, the Tahirih Justice Center (TJC) has provided aid to over 25,000 women and girls internationally. According to the TJC, 30 million girls under the age of 15 are at risk for female genital mutilation, and by 2020, 142 million girls will be married before the age of 18 years old. Today 5,000 women and girls are murdered every year for a perceived dishonor to their families. 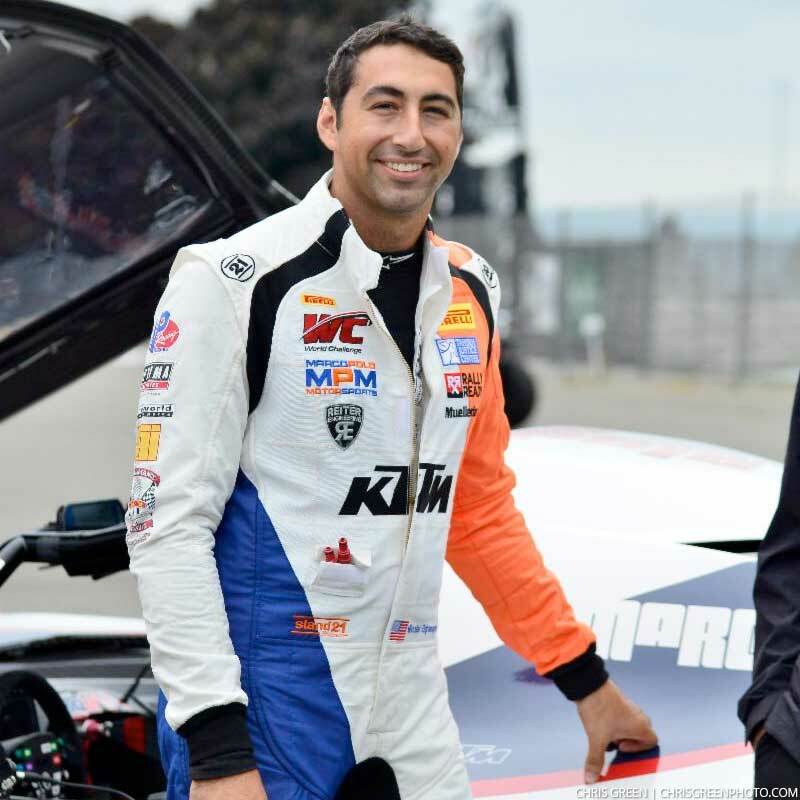 A full time race car driver in North America’s Pirelli World Challenge (PWC) sports car series, Elghanayan joined with the Tahirih Justice Center (TJC) to offer a unique experience for the non-profit to auction off at one of its September charity events. Offering an all-access weekend at a future PWC event and a private ride along in his KTM X-BOW race car, Elghanayan raised $14,000 to go to the charity. His father, Jeff Elghanayan, also joined the action, raising $25,000 for a ride on track at Spring Mountain Motorsport Park in Nevada in his Ferrari 275 GTB 4-Cam. Together, father and son raised $39,000, enough to help the TJC protect seven women from abuse. To learn more about the Tahirih Justice Center, please visit www.tahirih.org.